The staying power behind the iconic horror film The Texas Chainsaw Massacre largely resides in its unforgettable villain, Leatherface. The chainsaw-wielding maniac with a mask made of human skin has terrified audiences for decades. So when it came time to update the nightmarish fiend for a new iteration of the series, naturally the producers decided the prudent move would be to turn him into a kid. A young, freshly-scrubbed fellow with a spring in his step and an earnest look in his eyes. Spooooooky! 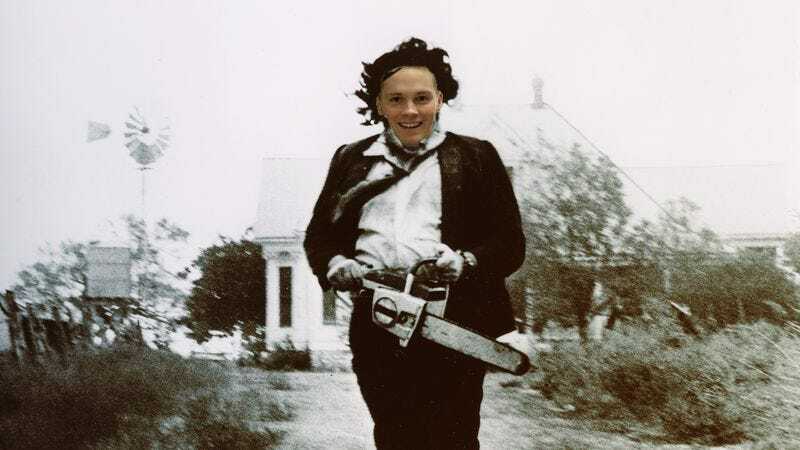 The Wrap reports that British soap Eastenders star Sam Strike (who is surprisingly not a 1920s gumshoe) is in talks to play the teenager who grows up to become Leatherface, in a prequel creatively titled Leatherface. And because nothing is scarier than yet another origin story, this new version will detail the early years of Leatherface—now called Jackson, in defiance of all heretofore existing canon as regards the character— in the ’70s, before he started the whole “let’s give people a reason to be scared of me” thing. IGN suggests that the film will lead up to the events of the original film, only now Leatherface will be a kid living in a mental institution until he “joins a pack of fellow patients who all break out and go on the run from the authorities.” Presumably, this means the film will pack all of the terror of the 1989 Michael Keaton mental-patients-on-the-run comedy The Dream Team.